Over the last six years, I believe I’ve spent more time on the road than at home. In Marrakech, I’ve haggled over carpets and sealed the deal over mint tea. I’ve climbed Kilimanjaro with a relentless guide, a marathoner and military officer who scolded me when I stopped for a granola bar, and I’ve been welcomed into adobe homes in a remote Yucatán village where Mayans are working to bring back heritage ingredients in their own backyards. The place that captures my imagination most, however, is a small town in Argentina that seems untouched by modern life. 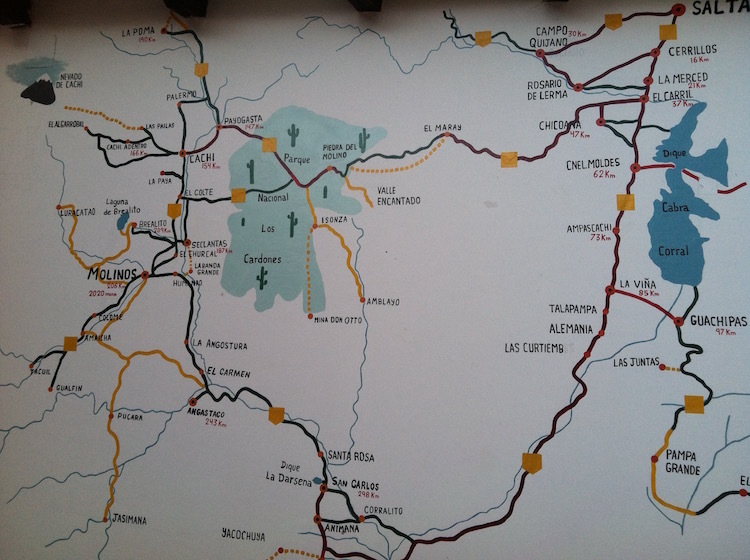 It takes three and half hours to get from Salta to Molinos if you take the Camino de Los Colorados, a scenic route that takes you over a steep mountain pass. I felt connected to the scenery immediately. The red rocky landscape recalled Moab and Grand Staircase-Escalante, two of my favorite places, but it also felt different. The topography changed drastically from mile to mile. One moment I was passing through subtropical forests and the next, through an arid salt field. It’s the closest thing I can imagine to life on Mars. 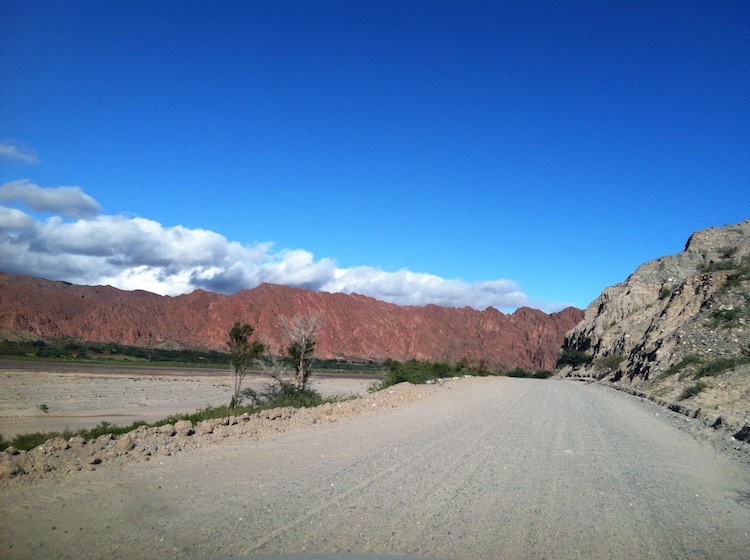 A dirt road in Salta. As my husband and I drove down in to a green valley in a white 4×4 that had already navigated a rain storm and treacherous roads, we saw horses roaming freely next to the banks of the Calchaqui River. 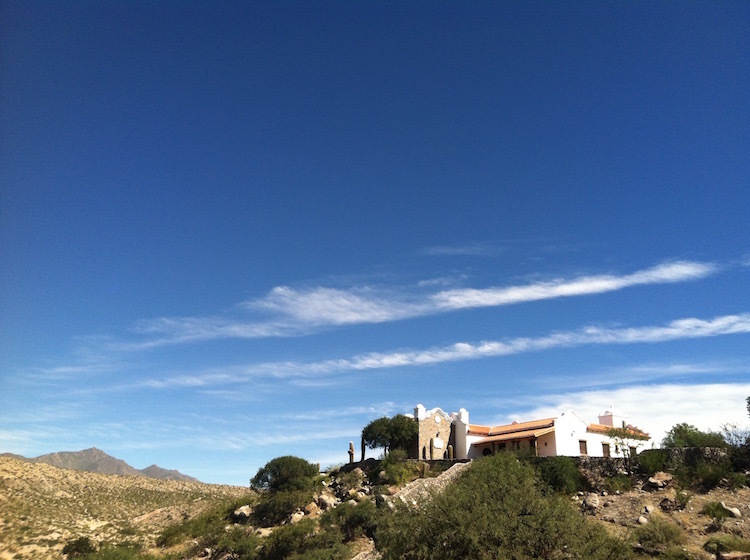 Our hotel, the Hacienda de Molinos, cut a striking figure against the backdrop of red mountains. Built in the 18th century, the white adobe building was the home of the last governor of Salta appointed by the King of Spain. 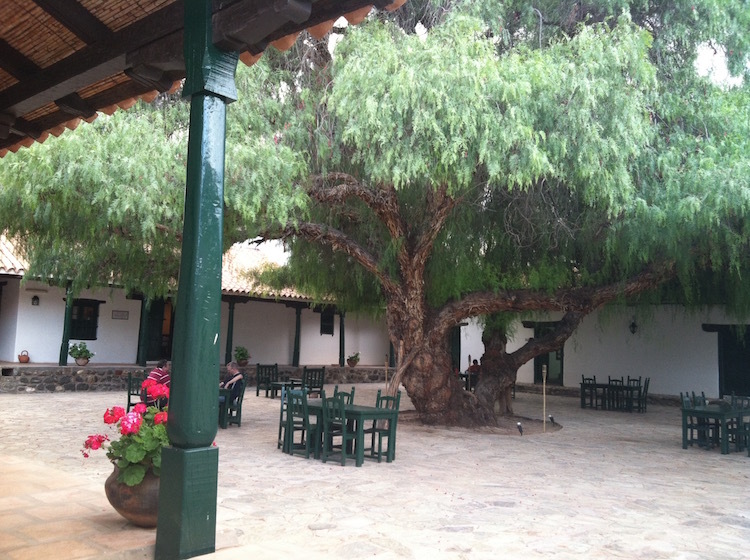 A tangled pepper tree stands at the center of a tranquil courtyard. The hacienda’s ceilings are made of carob tree wood, and clay tiled floors are cracked and weathered. A map of the region. After a dinner that consisted of excellent local fare like empanadas baked in a mud oven, we walked along Molinos’ lantern-lit streets passing the church, a National Historic Monument, and stopping to admire a map of town that looked like it had been recently repainted on the side of a building. It made me consider what this place would have looked like when it was part of the Inca Road, a network of routes used for military and religious purposes during the Inca Empire. With a prominent place on the route, the valley probably witnessed warfare, pillaging and the blending of races. As we walked back to the hotel, we passed by three boys on horseback. The plodding of the hooves on the dirt road stood out because it was a reminder of what we were not hearing, the purr of car engines. The phrase ‘noise pollution’ had probably never been uttered here. 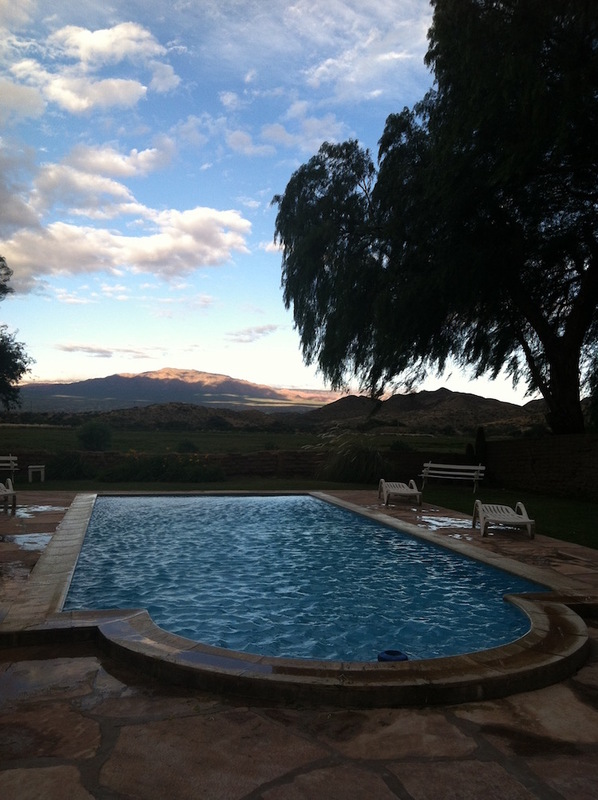 The swimming pool at Hacienda de Molinos. In the evening, guests at Hacienda de Molinos congregate around a river rock fireplace, hung with gaucho hats, where they pour themselves whiskey from a bar cart. This was how we met a man from the United Kingdom who seemed straight from an Agatha Christie novel. He wore glasses, a green tweed jacket and he walked with a slight limp. A businessman, he told us how he lived at the hacienda for six months out of the year and in the United Kingdom the other half. This was a life I had only read about in historical fiction novels. Molinos felt bygone. As the fire flickered and the whiskey made me drowsy, it occurred to me I hadn’t checked a piece of technology in 24 hours. It wouldn’t have surprised me if Captain Arthur Hastings had walked around the corner. A hilltop winery in the Salta region of Argentina. 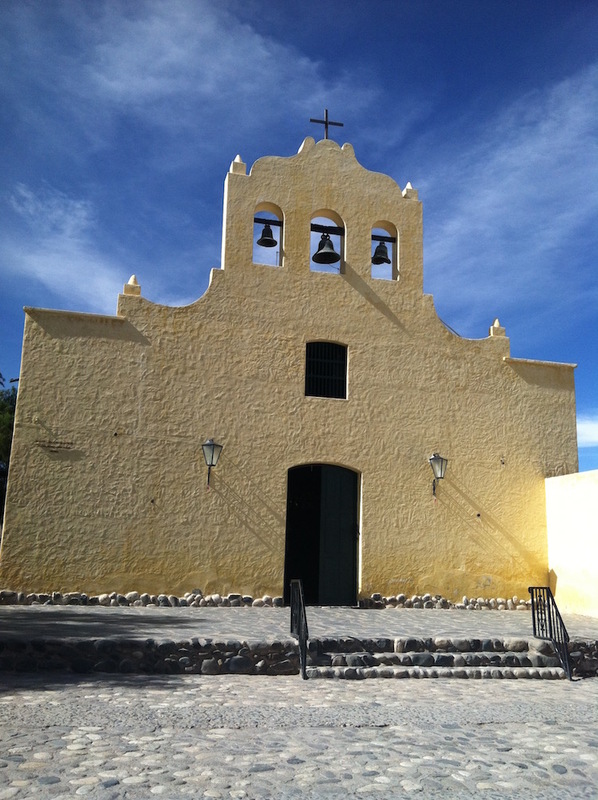 The region is known as Salta, but the capital city goes by the same name. Rent a car there and make sure it’s a 4×4. You will be navigating some very tricky dirt roads. Here are a few must visits on your road trip. This hotel in a sprawling hacienda feels frozen in time. Guest rooms are comfortable and tastefully decorated. The restaurant is excellent. Bodega Colomé is beautiful, but getting there isn’t always easy. 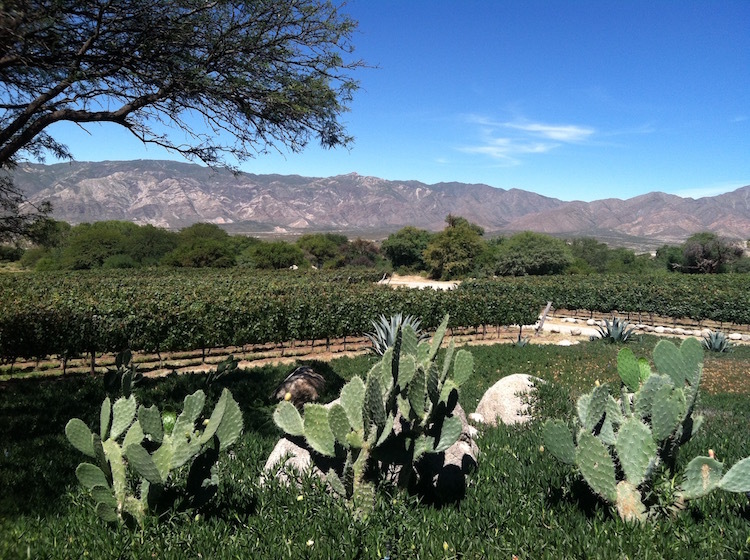 Getting to this 180-year old winery at the base of the Andes can be an adventure. The road is often flooded, meaning you will have to ford a small river to get there and vehicles with low clearance are likely to get stuck. When you arrive, you will be rewarded with incredible views of lush vineyards and mountains and some delicious wines including Malbec and Torrentés. Colomé has the distinction of having the world’s highest vineyard. The winery is also home to a museum housing the works of the space and light artist James Turrell. 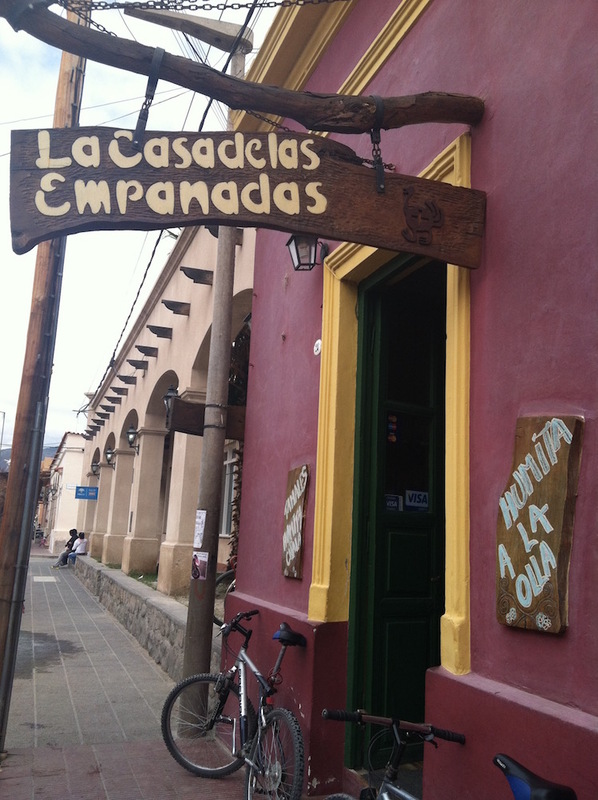 This small restaurant in Cafayate serves some of the best empanadas in Argentina. This brightly colored restaurant in Cafayate, a beautiful wine town know for it’s refreshing and floral torrontés, with walls scribbled with writing walls feels like the Argentinian version of a New York-style pizza parlor. It’s just homemade empanadas here, but you can order a variety including steak with yellow corn and onions soaked in white wine and bleu cheese with tomato and garlic and enjoy a laid back and inexpensive meal. This church is a National Historic Monument. This colonial village with white adobe buildings is worth a stop for a stroll and a bite to eat. It has a beautiful, leafy central plaza and some nice cafes. The catholic church dates back to the 16th century and is a National Historic Monument of Argentina. This perfect amphitheater was formed naturally over time. On route 68 between Salta and Cafayate look for signs for El Anfiteatro. The impressive natural amphitheater cuts into the side of a mountain. 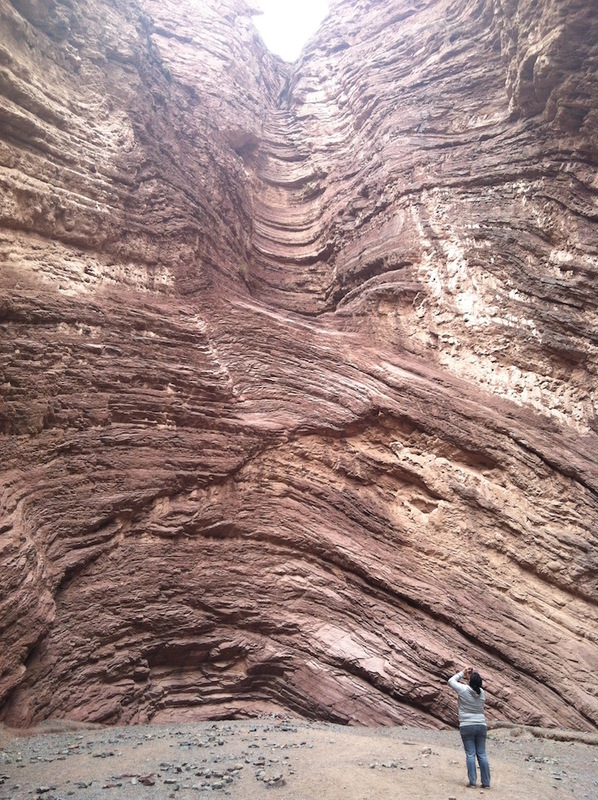 The rippling sandstone surface is beautiful. It’s fun to flex your vocal chords and hear the sound reverberate off the walls.